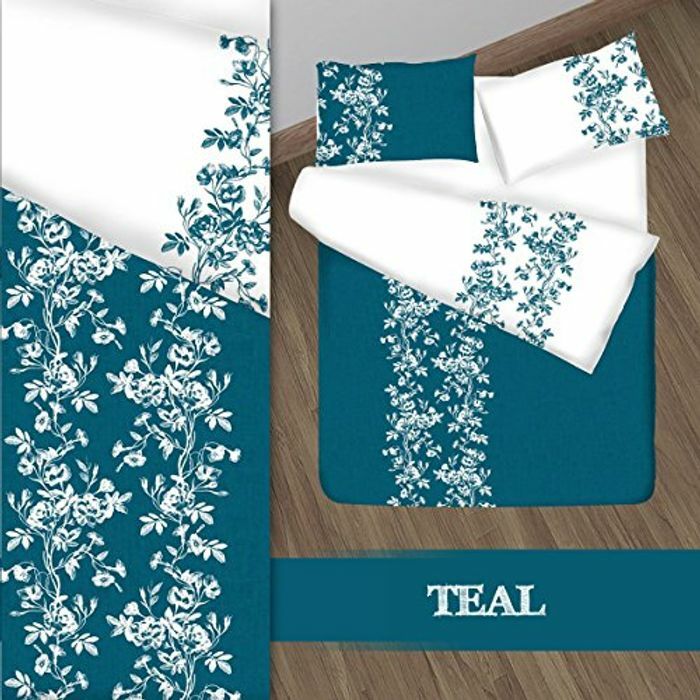 With it's beautifully subtle etched floral design - this elegant duvet cover set is sure to inject a touch of class into any bedroom...! Better still, this duvet cover set is fully reversible - meaning you can switch & choose styles to suit your mood! The softness of cotton and the hard-wearing strength & durability of polyester is combined to create a luxuriously comfortable, easy care duvet cover set - that requires little or no ironing.